Most of the web is invisible to Google, according to an article in Popular Science magazine. 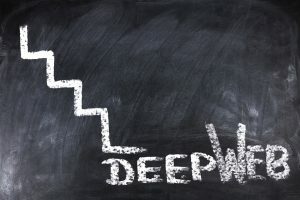 The so-called “Deep Web” is hidden behind password-protected sites, or sites you have to pay to enter, or sites that require special software to view. By some estimates, it’s 500 times larger than the Web we see. Deep into the Deep Web is the “Dark Web,” where bad guys lurk. Here you can find drugs, false identities, counterfeit currencies, hit men, human organ suppliers and other illegal stuff. These use software programs such as “Tor” to mask websites so law enforcement can’t find them. Going into a criminal chat room is strictly by invitation.